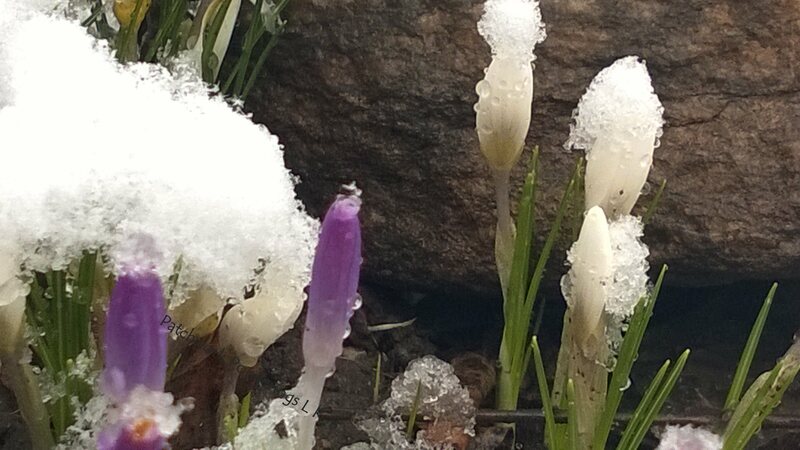 These poor little spring flowers.. thinking that winter was over in Ontario, Canada. The forgotten tomatoes are more than a little off season! 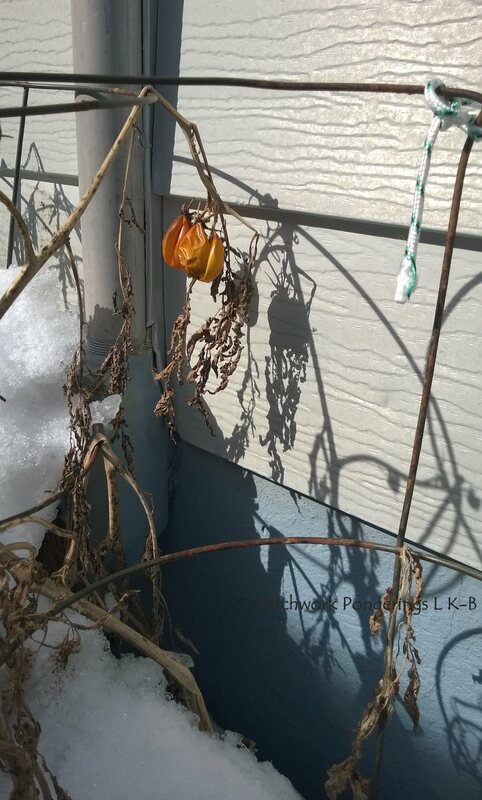 Still on the vine long into the winter. 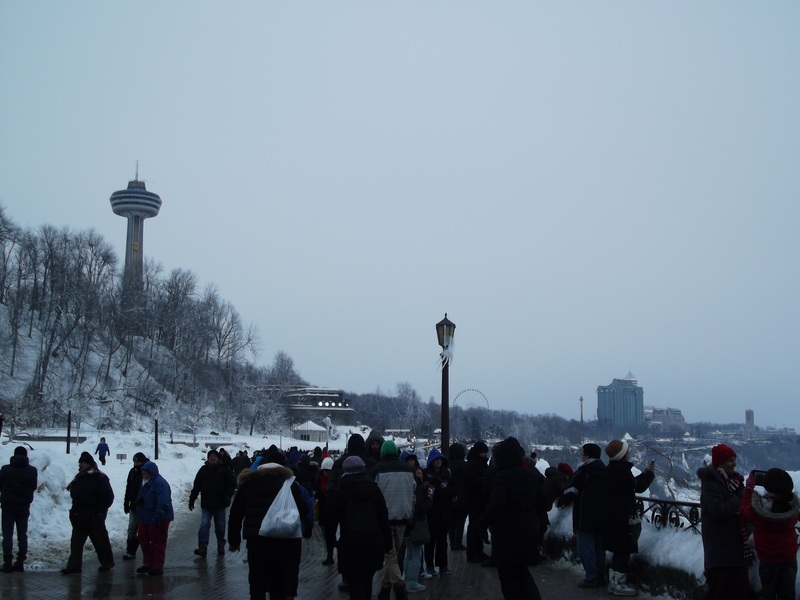 Crowds of tourists taking photos of ‘frozen’ Niagara Falls…”Tourist season” is typically thought to be during our summer.